The great horned owl appears to possess quite many physical and behavioral adaptations for survival. It won’t be wrong to say that great horned owls are probably the most adaptable owl species in the world. 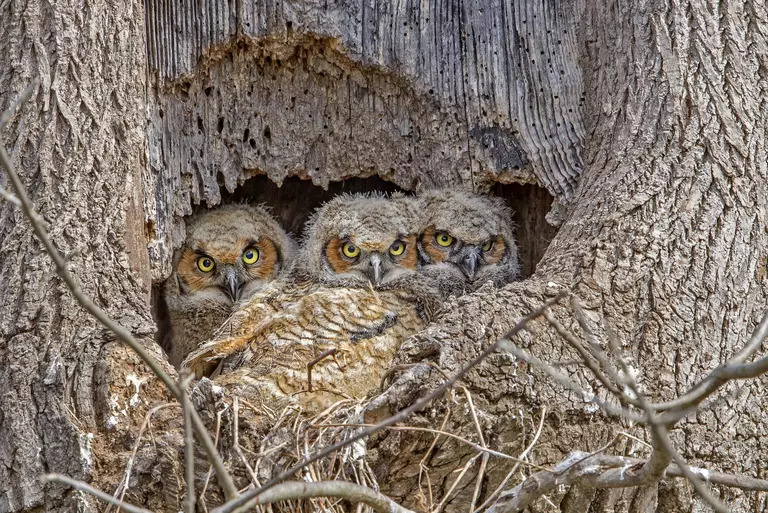 While the cryptic coloration allows owls to camouflage; the all-feathered body, diverse calls, acute hearing sense, sharp eyesight and strong legs and talons are some of the most distinct adaptations great horned owls have. We are going to discuss all these great horned owl adaptations. Great horned owls are pretty hard to spot not because they are small (when of course they’re not! )—owls are just too cryptically colored that they almost disappear into the forests. Nearly all subspecies display brown to dark grey plumage with some prominent markings. However, the undersides are light in color. 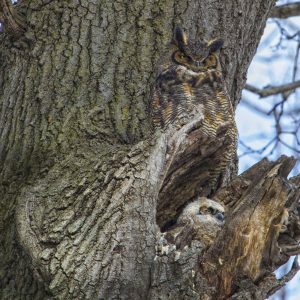 It doesn’t matter if the great horned owl roosts in trees during day or become active at night it is well camouflaged. It is a stealth hunter and isn’t known to make any noise even during flight. They have reasonably big wingspan but their bodies are all covered with feathers. 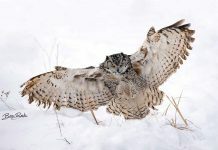 The great horned owl’s feathers do not only serve like a blanket, they also make a silent flight to the prey. Unlike in falcons or hawks, the great horned owl’s feathers have jagged tips to break the air and also the individual feathers offer less resistance. The greater is the resistance, the louder is the flight. Plus, thanks to their bigger wingspan which allow them to beat as little in the air as possible. Great horned owls happen to be almost entirely nocturnal. Therefore, they do not rely on sight too much. 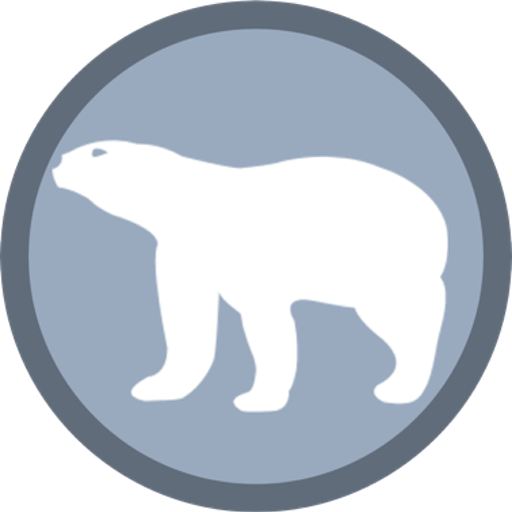 They don’t however become dormant in daytime, they do emerge sometimes before noon especially when they are hungry. During daylight hours, owls will hunt using their remarkable sight to see as far and more importantly as clearly as possible. While their eyes are immobile great horned owls can swivel their heads up to 270 degrees to have a good look at its prey. Owls are generally thought to possess an acute hearing sense that eventually qualifies them as a deadly hunter at night. Great horned owls mostly hunt at night so they rely on their exceptional hearing sense to detect the sound of the prey. The owl will turn its head in the direction of the sound and likely launches its flight if it perches 100 meters away from the source. The great horned owls ears are extremely sensitive to any slight movement in the leaves or bushes—they locate the prey in 30 millionths of a second. CAN YOU SPOT AN OWL IN THIS PHOTO? The owl’s ears are barely noticeable for they are lost in its feathers. These feathered tufts lies on top of its head. They are not ears. Great horned owl’s tufts do not seem to play any role in its hearing sense nor are they attached to its ears at all. 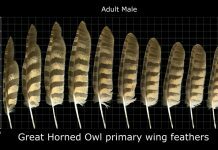 It is interesting to note that these hornlike tufts are only present in nocturnal owls such as western screech owls, burrowing owls, and great horned owls. Scientists haven’t been able to fully understand the significance of these tufts. Some say that the tufts communicate particular signals to its counterparts while others speculate that ear tufts are there to protect the bird from potential land mammals—the owl only uses tufts as a threat display. However the case maybe, there’s room for debate since much work needs to be done on an owl’s adaptations. 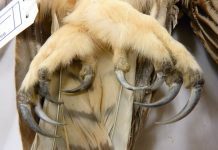 Great horned owls have probably one of the biggest foot spans of all owl species. The 20-cm-long foot span grabs the prey so firmly that the latter cannot escape. Plus, the sharp claws and powerful legs make these owls rather ambush predators. Thanks to these adaptations, great horned owls can afford to take on just about any prey even the size of their own. Jim Burns. North American Owls: Journey through a Shadowed World, Willow Creek Press, 2004. D. Lawrence. Owls: The Silent Fliers, NY, Firefly Books, 2001. Norberg, R.A. 1977. 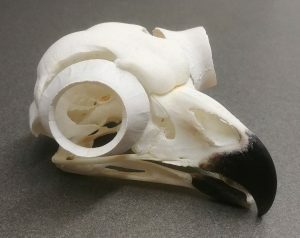 Occurrence in independent evolution of bilateral ear asymmetry in owls and implications in owl taxonomy. Philosophical Transaction Royal Society, London, Biological Science, 280 (973): 375-408. Fite, K. V. 1973. Anatomical and behavioral correlates of visual acuity in the Great Horned Owl. Vision Research; 13:219-230.